OKCTalk has learned the company has purchased or placed under contract 1.72 acres on the southwest corner of NW 13th Street and Western Avenue. OnCue has closed on the sale on one of the properties with the others pending. 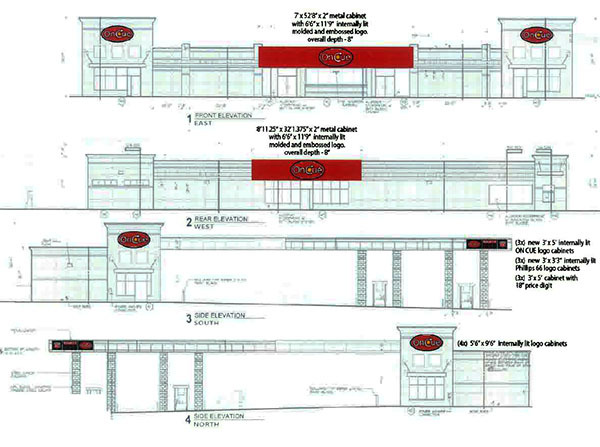 Preliminary plans indicate a smaller store measuring 8,451 square feet, a drive-thru lane and its customary array of covered fuel pumps. 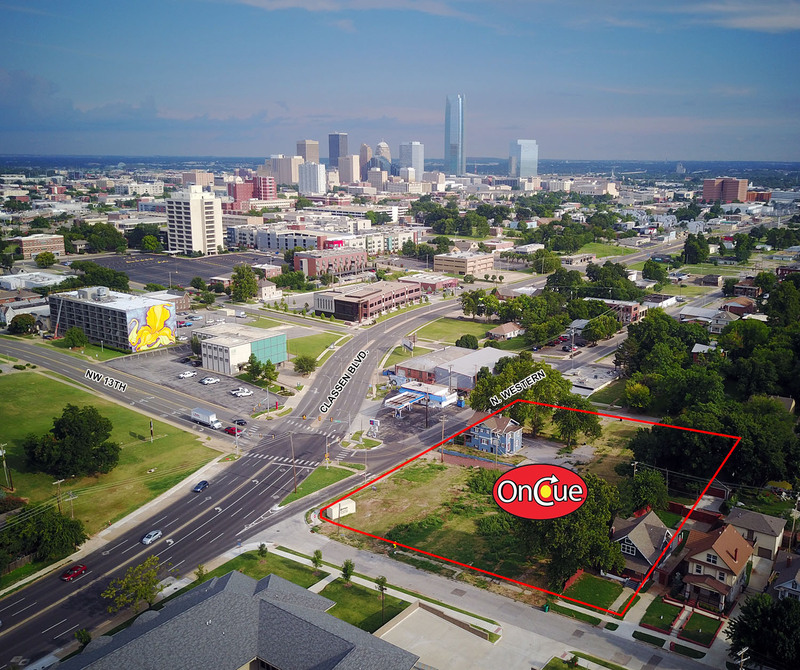 OnCue has been adding kitchens to a handful of its locations as it seeks to be to Oklahoma City what QuikTrip has been in Tulsa and other markets. The OnCue kitchens offer freshly made pizza, burgers, fries, breakfast sandwiches and tacos. QuikTrip has had a long-held gentleman's agreement with the Brown family that owns the local 7-Eleven stores, whereby the Tulsa convenience store giant has voluntarily not entered the central Oklahoma market that 7-Eleven currently dominates with 111 locations. However, as 7-Eleven has been slow to implement bigger, newer, more elaborate stores that have become the primary area of growth in the convenience store industry, OnCue has largely stepped into that void. 7-Eleven has now started building larger stores of its own and is upgrading some of its more profitable locations with remodeled facilities or in some cases completely replacing them with a new prototype that also includes hot food. OnCue Express currently operates approximately 75 locations in Oklahoma, with 40 locations planned or open in the Oklahoma City area. 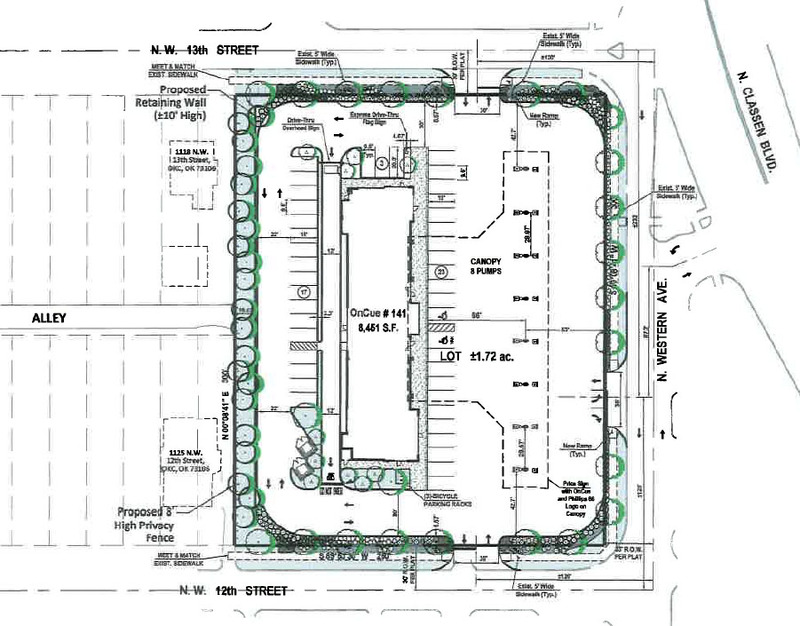 Previously, the property at NW 13th and Western had been slated for a mixed-use project by local developer Shyon Keoppel who now hopes to move elements of that concept to a new location in Midtown.